Prairie Moon Waldorf School in Lawrence, Kansas, offers Waldorf education from early childhood through middle school on seven rural acres in the Kaw River Valley. 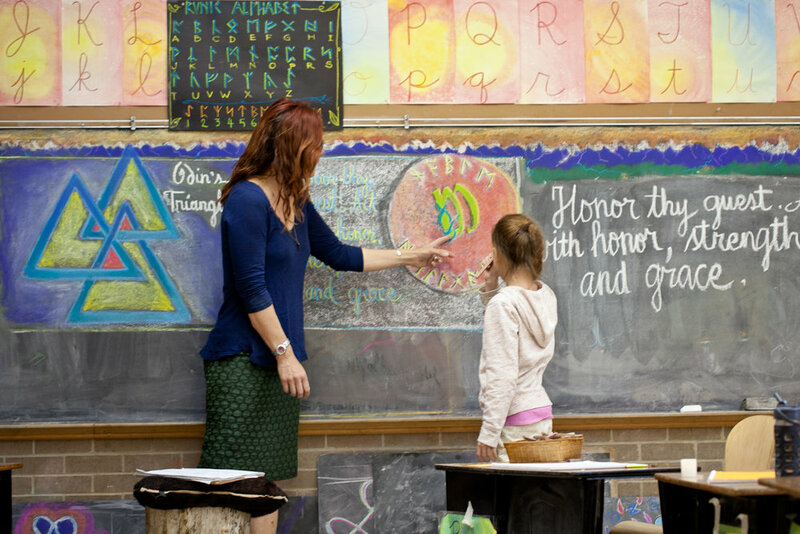 Currently, the only Waldorf school in Kansas, Prairie Moon is an Associate Member of the Association of Waldorf Schools of North America and the Waldorf Early Childhood Association of North America. Connected to the worldwide Waldorf Education movement, the school also offers Waldorf teacher preparation courses in the region during the summers and February breaks. The best way to become a part of our vibrant, welcoming community is to visit us. Prairie Moon Waldorf School is a family of loving educators, students and families, with children enrolled from preschool through middle school. Tours to our Early Childhood Campus nearby will be available. There are over 1000 Waldorf schools worldwide that are dedicated to recognizing the unique spirit of each child. With an enduring 90-year history and a bright future, the international Waldorf school movement is the largest and fastest growing non-sectarian school movement in the world. Thoughtful donations from our families, faculty, staff, alumni, and friends keep our community flourishing. Learn more about our Annual Giving Fund, or how to shop locally and on Amazon with SCRIP to support our school.